At recent Super Bowls, one brand activation strategy that we’ve seen again and again is to get fans personally involved with hands-on activities. It’s a great strategy, and we’ve seen how effective it can be at generating the kind of emotion that fans are likely to share on social media. 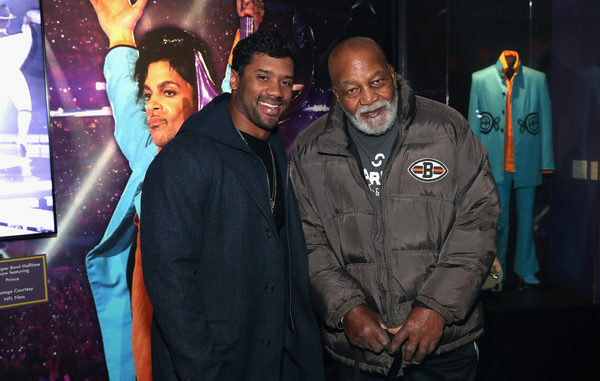 Amex took an entirely different approach at last week’s Super Bowl LLII in Minneapolis, with an exclusive VIP-only brand activation hosted onsite at Prince’s Paisley Park estate. The American Express x Justin Timberlake Man of the Woods Listening Experience invited Platinum and Centurion Amex cardholders to rub elbows with an exclusive group of A-List celebrities. And, although they were not invited to attend, fans on social media couldn’t look away. The traditional approach has been to generate social buzz by getting ordinary fans personally involved in memorable activities. But this innovative tactic from Amex took a top-down approach, generating a huge amount of social chatter by bringing big-league influencers together to create a perfect storm on social media. Amex teamed up with Momentum Worldwide to produce this innovative onsite brand activation. They created a rustic pop-up environment with a wide range of activities that kept everyone in attendance occupied for the duration of the event. Celebrities and cardmembers mingled and mixed for an entire evening of exclusive fun – and there were plenty of creative activities to keep them busy. One display at the brand activation had participants practice the art of traditional vinyl-making at mobile vinyl recording stations. At another station, attendees mixed and matched perfume ingredients to create their own “signature” unisex scents. And at what was possibly the most popular event of the night, fans created their own unique graphic designs and used state-of-the-art silk screening equipment to produce their own one-of-a-kind t-shirts. Justin Timberlake’s freshly-released Man of the Woods album provided the soundtrack for the event. Fans were treated to an open vegan menu. And at the height of the night, Prince’s long-time backup band, The Revolution, took the stage for an exclusive live show, while the A-List crowd of celebrities and top-tier cardmembers listened and looked on. We can’t think of another brand activation that boasted this level of exclusive celebrity attendance. Obviously, half-time star Justin Timberlake was in attendance. And he was joined by an impressive group of NLF and Hollywood A-listers that were sure to light a fire on social media. NFL VIPs attending the event include Dallas Cowboys coach Jason Garrett. He was joined by Hall of Famers including Emmitt Smith, Kurt Warner, and Terrell Owens. Several current players were in attendance, including Cowboys TE Jason Witten and Seahawks QB Russell Wilson. And former Giants RB Tiki Barber was spotted as well. Non-NFL celebrities at the brand activation included Jimmy Fallon, Jamie Foxx, Jessica Biel, Ciara, Issa Rae, and photographer Ryan McGinley. ESPN’s Matthew Berry was at the event. And Mojo Rawley, wrestling superstar from the WWE was in attendance as well. With an arsenal of A-listers and a platoon of successful influencers invited to the event – the American Express x Justin Timberlake Man of the Woods Listening Experience was guaranteed to generate some big waves on social media. In today’s highly-integrated social universe, a single celebrity tweet can cascade across platforms to reach a significant percentage of the population. In addition to the promotional power of the celebrities and influencers in attendance – footage from the brand activation was live-streamed on Twitter to keep fans informed and engaged as the event played out. Here at TGSM, we understand the crucial importance of audience size and engagement on social media. The exposure and insights that can be gained through social networks and related data sets are the driving forces behind today’s most sophisticated marketing operations. And these very factors are also the driving force behind the design of our mobile brand activation units, which are deployed every weekend on NFL tailgating lots around the league. TGSM’s mobile brand activation units were developed to provide brands, venues, and sponsors a convenient way to instantly deploy powerful social activations. Our units are specifically tailored engage the most valuable demographics – women and millennials – by providing essential services that are typically not available on the tailgating lot. Our free high-speed data network reaches everyone within its range, inviting them to connect with the network at no charge. In this way, we instantly capture valuable insights into key market segments that are often hard to reach for sponsors and advertisers. Our state-of-the-art restroom facilities are an oasis of comfort on any tailgating lot. By providing authentic china toilets, working plumbing, climate control, and hot water hand washing – you will be a hero to every woman and family on the tailgating lot. Independent research has shown that TGSM’s mobile brand activation units make a profound impact on women’s attendance and duration-of-stay at tailgating events – in a very short amount of time. With a sophisticated array of interactive screens and sensors, we capture a wealth of anonymous data about your audience, their behaviors and preferences, and their social footprints. If you would like to learn more about how our assets can be integrated with your existing activations – or deployed as stand-alone units – contact us today. Call us at (888) 995-2285 for a guided virtual tour. We will tell you everything you need to know and answer any questions you may have.